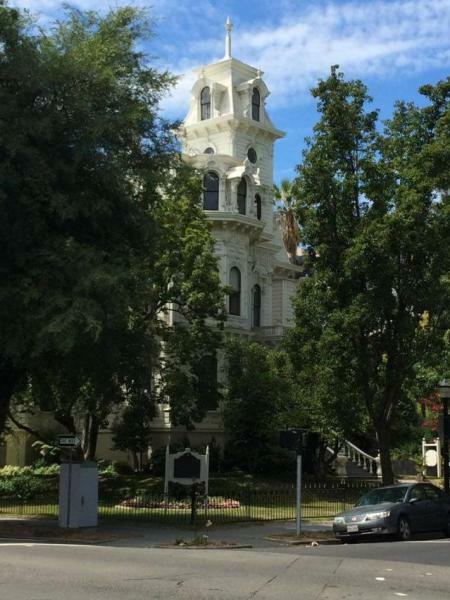 The Governor&apos;s Mansion in Sacramento is a Victorian house with a lot of history in the heart of California&apos;s capital city. So, been there, done that, checked it off the list? Think again. One of the greatest benefits of being a tourist in your own town is that you can go back to your favorite touristy venues again and again. Unlike traveling to faraway places at great expense, when your sightseeing excursion really may be the first, only, and last time to experience the distant tourist attractions, those attractions closer to home can be visited as often as you wish, even over a period of years. Most museums have regular permanent collections, and many also host traveling exhibits. Permanent collections are much too vast to have everything on display all at once. For instance, the Crocker Art Museum’s many pieces are rotated in and out of the exhibit halls over time. And as you will read below of Cindy’s return to visit the historic California Governor’s Mansion this past summer, the curators there have made some choice selections to enhance the newly refurbished third floor. This is the first of some follow-up blogs that Cindy, Carol and Janet plan to provide about revisiting some previously featured Hometown Tourist locations. We’ll share what we find that is new, changed or expanded. Although we have “been there, done that and checked it off our list,” these favorite sites are all worth doing again. Click here to read about our first visit to the mansion. The Governor’s Mansion: Why go again? Although the historic California Governor’s Mansion at 16th and H streets presents the various rooms frozen in time, seasons change and the curators continue to refurbish the mansion. Our first visit to the Governor’s Mansion was in the winter. Cindy recently visited again this summer. The change in seasons brought some changes to the mansion. Cindy’s summertime visit saw the swimming pool filled and the gardens in bloom. For decades, the Mansion’s third floor was not open to the public. Recently refurbished but not yet fully furnished, the third floor is now included in the regular mansion tour. From the third floor you can look up the spiral staircase to the fourth floor tower. The third floor represents the period from 1877 to 1903 when the mansion was in private ownership before being purchased by the state. The third floor contains the original dark-stained woodwork that was painted over on the lower floors. Do you remember the movie The Music Man? “We’ve got trouble, right here in River City…”? You might think the movie was written for Sacramento. Because found on the mansion’s third floor are painted ceilings depicting crossed billiard cues with four balls for the popular Victorian-era game of carom. This image had been hidden under years of paint. Imagine how exciting for the curators when this was uncovered, confirming it as the billiards room! Billiards was a very popular pastime back then. Third-floor furnishings include a billiards table, piano and a couch in the large space. Beautiful gas chandeliers hang in these rooms. One can easily imagine people dancing to popular music of the day, shooting pool and socializing into the night. I know I will return again to see what new things are in store for the mansion. I’ll encourage Janet, Carol and you, too! Come and check out how the curators of the Governor’s Mansion continue their good work. There is also a vast permanent collection of artifacts available to them at the State Museum Collection Center located at 4940 Lang Ave., Suite 100, McClellan, CA 95652. You see, anything that was purchased for the mansion after 1903 is state property. Click here for more information about the Governor’s Mansion.